A little more than a year ago NVIDIA introduced the GF110 GPU, the power-optimized version of their Fermi patriarch, GF100. The first product was their flagship GTX 580, followed by the eventual GTX 570. Traditionally NVIDIA would follow this up with a 3rd product. The GTX 200 series had 285/275/260, and the GTX 400 series had GTX 480/470/465. However in the past year we have never seen the 3rd tier GF110 card… until now. Today NVIDIA will be launching the GeForce GTX 560 Ti With 448 Cores (and yes, that’s the complete name), a limited edition product that will serve as the 3rd tier product, at least for a time. And while NVIDIA won't win any fans with the name, the performance is another matter entirely. If you've ever wanted a GTX 570 but didn't want to pay the $300+ price tag, as we'll see NVIDIA has made a very convincing argument that this is the card for you. The GTX 560 Ti With 448 Cores is based on the same GF110 GPU as the GTX 580 and GTX 570. Where GTX 580 is a fully enabled GF110 product and GTX 570 is a partially binned part, the GTX 560 Ti With 448 Cores – which we’ll refer to as the GTX 560-448 for simplicity’s sake – is a further binned GF110 intended to take the position of the traditional 3rd tier product, putting it below the GTX 570. Looking at the organization of the GF110 being used in the GTX 560-448, the difference between the GTX 570 and GTX 560-448 is that NVIDIA has disabled a further SM unit, cutting the compute/shading, texturing, and geometry performance by 7%. 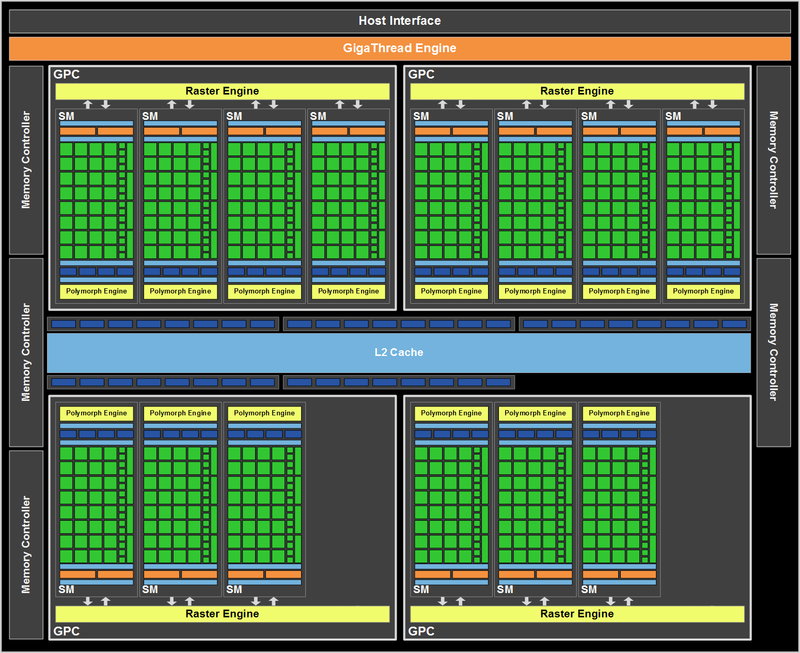 ROP performance remains untouched, as does the number of memory controllers. The core clock is the same as the GTX 570 at 732MHz, while the memory clock has been reduced slightly from 950MHz (3800MHz data rate) to 900MHz (3600MHz). All together compared to the GTX 570, the GTX 560-448 has 93% of the compute/shader performance, 100% of the ROP performance, and 95% of the memory bandwidth. In practice this is closer to the performance of the GTX 570 than the larger product spacing we’re used to seeing. Power and cooling are also very similar to the GTX 570. NVIDIA has put the TDP at 210W, versus 219W for the GTX 570. As always NVIDIA does not supply an idle TDP, but it should be practically identical to the GTX 570. The end result is that the GTX 560-448 should have slightly lower performance than the GTX 570 with similar power consumption. The designation is meant to reflect the fact that this is not an addition to our 500 series line-up, but rather a limited edition product. This is a completely truthful answer – and we’ll get to the limited edition aspect in a moment – but it’s not a real answer to the question. Ultimately NVIDIA has to balance OEM, consumer, and regional concerns since not every market will be getting this product, but more practically the GTX 560 Ti is a well received and well selling card whose success NVIDIA wants to extend. The result is that NVIDIA can (and will) call it whatever they want, and this time they’re calling it a GTX 560 Ti. Thus, this is why we have a GF110 product launching as a GTX 560 Ti even though it has more in common with a GTX 470 than anything else. It’s that kind of a launch. As far as being a limited edition product, that’s not particularly complex. NVIDIA bins GF110 GPUs for a number of products, not just GeForce but for Tesla and Quadro too. The best chips go into the most expensive products, while chips with several bad SMs go into products like low-end Quadros and NVIDIA’s 4th tier OEM only card – which is also the GTX 560 Ti. In the past year of production NVIDIA has built up a supply of mid-tier chips: chips that aren’t good enough to be in a GTX 570, but better than what the lower end markets need. Rather than taking a revenue hit by shipping these chips in those lower end products, NVIDIA has decided to mint a new GeForce product instead, and that’s the GTX 560-448. The reason the GTX 560-448 is a limited edition product is that NVIDIA is not accumulating suitably dysfunctional chips at a rapid pace as they do chips for their other product lines. As a result they only have a small, largely fixed number of chips to produce GTX 560-448s with. With this limited supply NVIDIA will only be chasing particularly affluent markets with a limited number of cards: The US and Canada, the UK, France, Germany, the Nordic countries, and Russia. South America and the Asia Pacific region (APAC) are notably absent. Furthermore for those markets that will be getting the GTX 560-448, it’s essentially a seasonal product specifically for Christmas: NVIDIA only expects the supply of cards to last 1-2 months, after which NVIDIA’s product lineup reverts to the 580/570/560 stack we already are accustomed to. So while a limited edition product is nothing new, we haven’t seen a coordinated launch for an LE product quite like this in recent years. Given the hardware similarities to the GTX 570, it should come as no surprise that NVIDIA is forgoing a reference design while their partners will be launching cards based on their existing GTX 570 designs. At this point all of them have custom GTX 570 designs, and as such the GTX 560-448 cards will be using those custom designs. The card we’ve been sampled with, Zotac’s GeForce GTX 560 Ti 448 Cores Limited Edition, is one such card, based on their custom GTX 570 design. 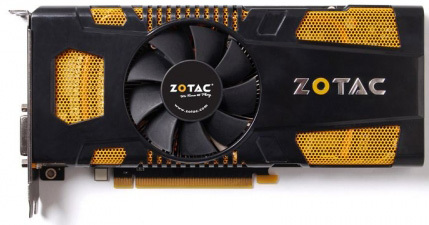 Furthermore as was the case with many proper GTX 560 Ti cards, the GTX 560-448 will be launching in overclocked designs, such as Zotac’s which ships at 765MHz instead of 732MHz. So the performance of individual GTX 560-448 products can vary by upwards of several percent. The MSRP on the GTX 560-448 will be $289, however launch partners will be free to price it higher to match any factory overclocks they do. At $289 the GTX 560-448 is priced extremely close to the cheapest GTX 570s, and depending on clockspeeds and sales a GTX 570 could end up being the same price or cheaper, so it will be prudent to check prices. Meanwhile the GTX 560-448’s closest competition from AMD will be the Radeon HD 6950, which trends around $250 after rebate while the Radeon HD 6970 is still closer to $340. Overall NVIDIA’s pricing may be a bit high compared to their other products, but compared to AMD’s products it’s consistent with the performance. In your 560 Ti review you said that it was "a bit faster" than the 6950. What's changed? Maybe AMD's drivers are helping to pull the card away because it's clearly ahead here with the same games being tested. "The GTX 560 Ti ultimately has the edge: it’s a bit faster and it’s quieter than the 6950"
Perhaps you should do an article on that one? You know you were one of the very few sites on the web who actually found the 560 Ti to be faster than the 6950 in the first place? If you haven't already, I'd invite you to take a look at Bench, our online benchmark database. The video card numbers are periodically revised for newer articles, which is what you're seeing here. Glad to see you are keeping those updated and thanks for the reply. My point was, what happened to the 560 Ti's lead from your initial review? Looking at that bench now the 6950 is a good bit ahead. Note that the 560 Ti was launched only a month after the 6900 series, so AMD only had a short amount of time to optimize their 6900 drivers between the 6900 launch and then. Whereas they've had another 10 months since then to work on their drivers further. Given the similarities between VLIW4 and VLIW5, if you had asked me for my expectations 10 months ago it's actually more than I thought AMD would get out of optimizations. 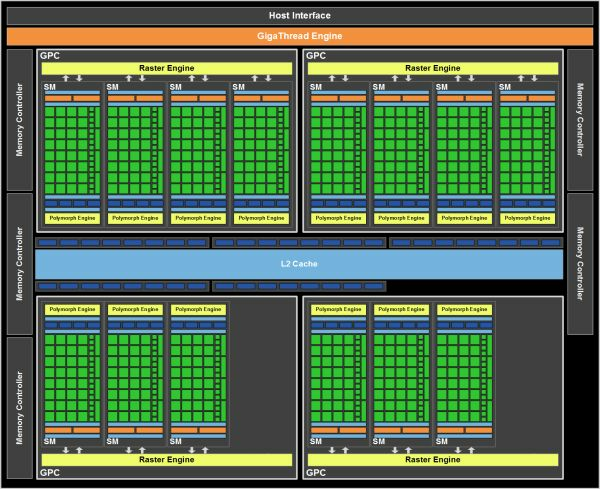 Meanwhile the 560 Ti has shifted very little in comparison, which is not surprising since the Fermi-lite architecture had been around for over half a year by that point. I'd still regard the 6950 2GB as the best value proposition card, and it has been ever since the launch of the card almost a year ago. Even though I only bought one recently, and heard the extra shaders had been lasered off, this thankfully proved wrong, and one BIOS update later and I have a 6970.